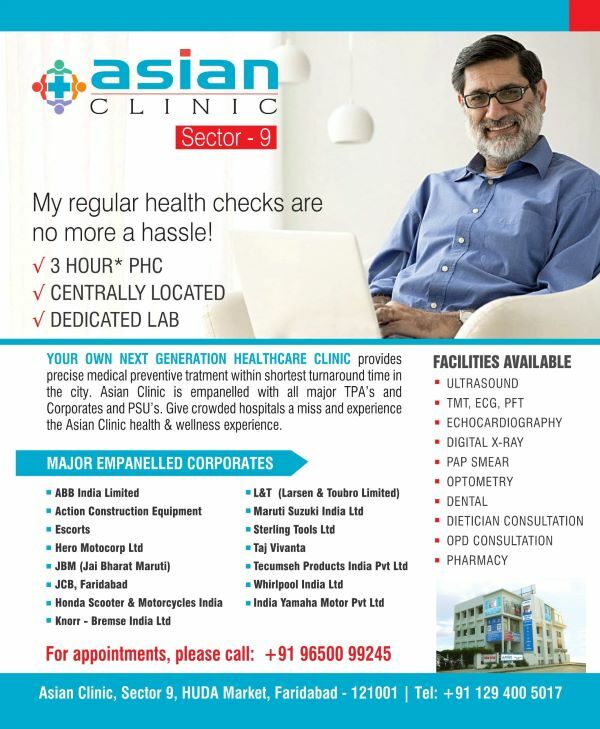 Inspired by innovation and motivated by the success of other two clinics at Greater Kailash and Palwal, Asian Clinic opened its latest division at Sector 9, Faridabad in 2015. 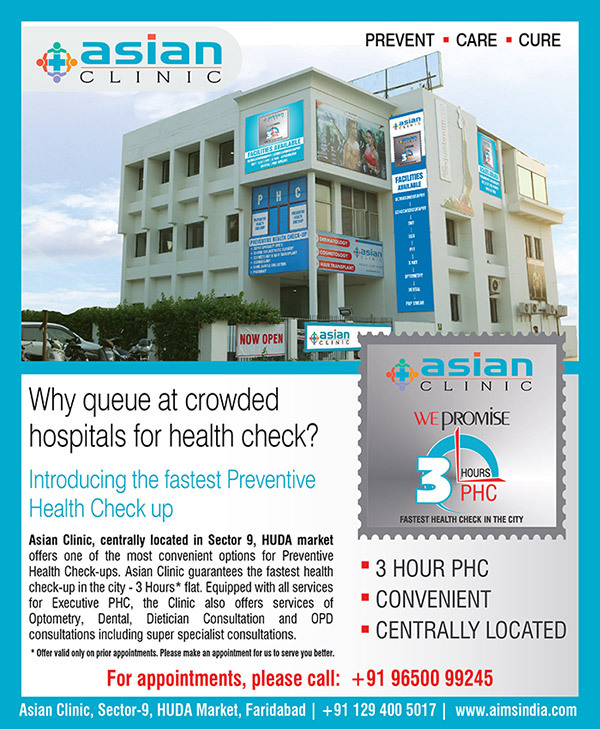 Dedicated to provide enhanced medical convenience and quality, Asian Clinic Sector 9 primarily offers Consultation with Specialists with a vision to bring more healthcare facilities under one roof creating a one stop polyclinic for the neighborhood. 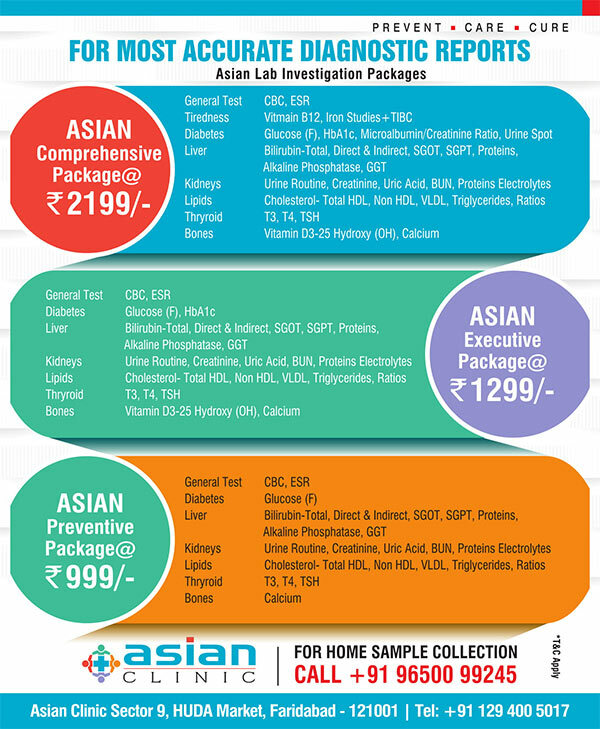 An auxiliary unit of Asian Institute of Medical Sciences, Asian Clinic Sector 9 is relentlessly striving to set a benchmark in its quality of services and convenience. Initially focused towards general OPD services, this centre is gradually driven towards excellence through leveraging technology and improvement to provide precise medical treatment within shortest turnaround time. Asian Clinic Sector 9 is a next generation healthcare clinic in Faridabad that is dedicated to cater the day-to-day medical consultation needs of the people. The centre provides Consultation with Specialists from disciplines like Cardiology, Oncology, Gastroenterology, Orthopaedics, Neurology, Pediatrics, Gynaecology, Dental Services, Dietetics, Physiotherapy etc. This centre also offers other facilities like Pharmacy, Optical Shop, Sample Collection and Hair Transplant Procedure.